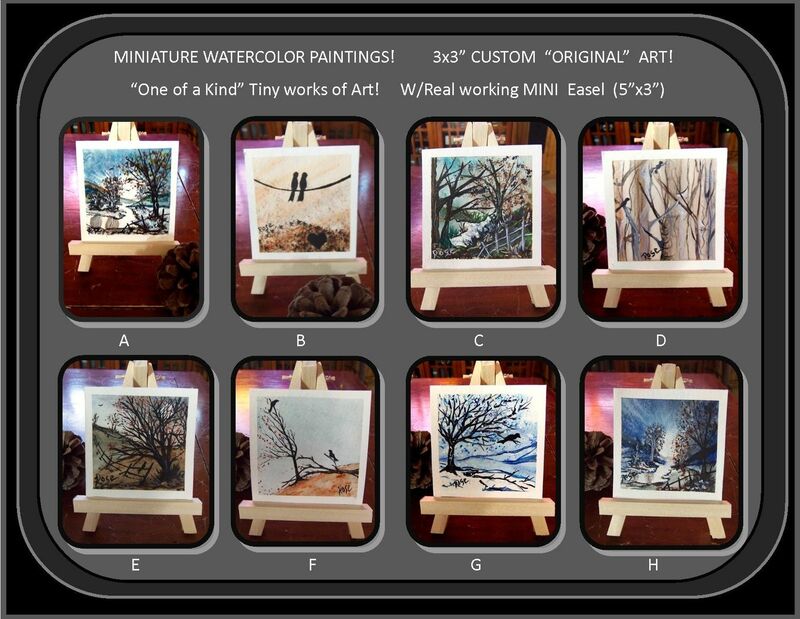 Each Original Painting is 3x3" and is as Finely Detailed as a Full size Painting. 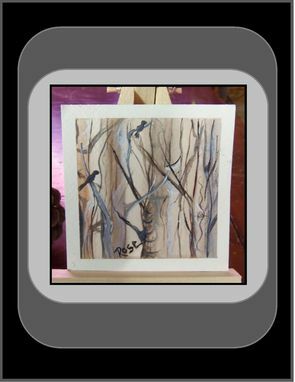 A Great gift for someones dest, dressor, home decor, etc. For the Art Lover in All of us! 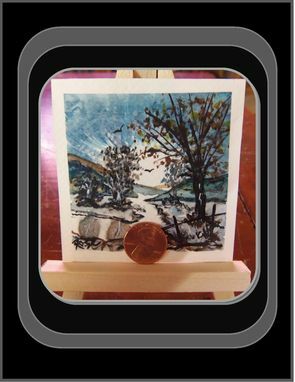 You can give someone you love a signed Original Work of Art, as an unusual and thoughtful gift! Great Idea for Dad, Son, Mom, Daughter, Grandmother, Grandfather, Bridesmaid, Wedding, Mother of the Bride, etc. Choose one of the subjects in the first photo above, you will recieve your Artwork in approx. 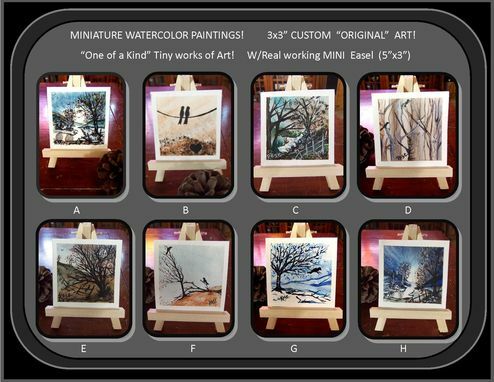 If you would like a painting that is not shown, something custom for you, let me know what subject matter you would like me to paint for you and I will custom paint your Miniature Artwork and ship it to you, add 1-3 days to the shipping time for custom work.